Let’s get social! 5 reasons why social media is good for your business. Over the years, social media as a marketing channel has grown vastly. It not only acts as an opportunity for promoting your business and services, but also creates engagement with your customers. There are many reasons as to why social media should form part of your marketing strategy. In this post we take a look at 5 key reasons as to why it’s good for marketing your business, especially when your marketing budget is limited and you’re after a low cost investment. 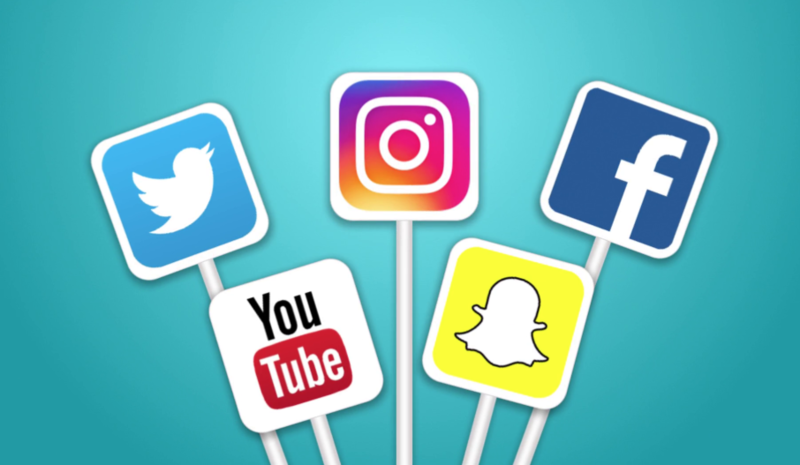 Social media can be one of the most cost effective and profitable digital marketing platforms that can be used to promote your brand and increase the visibility of your businesses. Getting started may seem daunting, but it really is very simple. First, create your social media profiles for your business and start networking with a combination of like minded individuals, organisations and target audiences to get the conversation flowing. Creating your social accounts is free on almost all social networking platforms. But if you decide, as part of your marketing plan to increase your visibility by bolstering your organic reach with paid advertising, remember to always start small and monitor the effects. Being cost-effective is important as it helps you obtain a greater return on investment. Through monitoring your spend and investing a little time and money, you can significantly increase your conversion rates through to your website. As well as raising your brand awareness, social media is also a great way to engage and interact with your customers, it’s fast becoming a secondary level of customer service and a quick way to resolve issues and answer questions more informally. The more you communicate with your audience, the more chances you have of converting them into buying your product or using your service time and time again. Customers typically view business social platforms as channels where they can directly communicate with the business, find out about your offering and share within their social networks. It’s a great way to widen your reach without being over intrusive and pushy. Social media channels and sharing content, as well as creating engagement can also increase traffic to your website. By sharing your content, you are giving users a reason to click-through to your website. This can be done for all types of content, whether it’s a product launch, a news article, latest blog or teaser video, sharing and linking back to your site will generate inbound traffic and help move the customer through the purchase cycle, generating conversion opportunities along the way. Nowadays you can’t just get away with simply optimising your website and regularly updating your blog and news feed to improve your SEO rankings. With search and browser algorithms constantly changing and the growing requirement to post directly into the social channels to increase your quality score, it’s important to ensure that the content you post is of ‘quality rather than quantity’. Google has confirmed that content and links are the two primary factors for ranking websites in search, but social media signals are not used directly as a ranking factor. While the links from your social shares do not have the same SEO value as backlinks from other websites, they can influence on-site engagement and bounce rates. Social media marketing has many advantages for all organisations, for both startups and established brands. If you invest time and effort into generating the right ‘quality’ content and ensure that social media features as part of your overall marketing strategy, you’ll be pleasantly surprised in how this cost effective marketing tool can help grow your brand and your business. If you would like help in developing your social media strategy, why not get in touch with one of the team to discuss how we can help you.